Four Nigerian villagers took Royal Dutch Shell to court yesterday in a landmark pollution case that campaigners said could open the door to more compensation claims against international companies. The fishermen and farmers, together with the Friends of the Earth campaign group, accused the oil major of polluting land and waterways around their homes in the Niger Delta. Shell has denied responsibility, saying the leaks were caused by sabotage. The villagers launched their claim in a civil court in The Hague, where Shell has its joint global headquarters. It was the first time a Dutch-registered company had been sued in a Dutch court for offences allegedly carried out by a foreign subsidiary. Friends of the Earth said the claim, if successful, could open up a new way for plaintiffs to take on multinationals – by suing their parent companies in their home countries. The villagers, who appeared in court, want unspecified damages, saying Shell and other firms were responsible for pollution from three oil spills between 2004 and 2007. “My community is a ghost land as a result of the devastation. We had good vegetation. Today people have respiratory problems and are getting sick,” said one plaintiff, Eric Dooh, from the Goi community, which lives between two pipelines. “Shell is aware of the whole devastation. I want them to pay compensation, to clean up the pollution so we can grow our crops and fish again,” he said before the hearing. Shell said the pollution was caused by thieves breaking into pipelines to steal the oil, and believed it had played its part in cleaning it up. “The matter has been resolved as far as we are concerned and we do not properly understand why Friends of the Earth has submitted the case,” Allard Castelein, Shell’s vice-president for environment, said before the hearing. 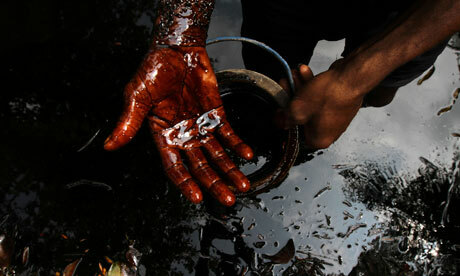 The biggest pollution problem in the Niger Delta was caused by thieves who stole oil from Shell’s installations, he said. 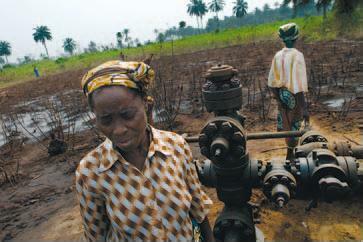 About 150 000 barrels of oil were stolen daily in the delta, That is worth about $6 billion (R52bn) a year. Friends of the Earth said other companies could face similar claims in EU cities if it won the case. “It opens up a range of possibilities for people from poor countries to use the legal system to seek compensation from companies,” said Geert Ritsema, the international affairs co-ordinator at the group. The Nigerians’ lawyer, Channa Samkalden, told the court Shell failed to maintain pipelines, clean up leaks and prevent pollution. “It was insufficient maintenance, not sabotage, that was responsible for the leaks… Shell did not operate as a conscientious oil company,” she said. With about 31 million inhabitants, the Niger Delta is one of the world’s most important wetland and coastal marine ecosystems. It is an important source of food for the poor, rural population. Last year, the UN said in a report that the government and multinational oil firms, particularly Shell, were responsible for 50 years of oil pollution that had devastated the Ogoniland region, part of the Niger Delta. The government and oil firms have pledged to clean up the region and other parts of the delta, but residents say they have seen little action. Shell Petroleum Development is the largest oil and gas company in Nigeria, with capacity of more than 1 million barrels of oil equivalent a day. Nigeria oil giant Shell taken to Court. Nigerian oil giant shell has been taken in a Dutch court to face charges of destroying livelihoods in Nigerian villages in the Niger Delta region on Thursday. The farmers case, which could set a precedent for global environmental responsibility was established by four Nigerian farmers and the Dutch branch of campaigners Friends of the Earth. The charges by the farmers on the oil spills dating back to 2005 by the Anglo-Dutch company has made fishing and farming in the plaintiffs’ Niger Delta villages impossible. The case was first filed in 2008, demanding that Royal Dutch Shell clean up the mess, repair and maintain defective pipelines to prevent further damage and pay out compensation. Despite protests from Shell that its Nigerian subsidiary was exclusively legally responsible for any damage, the Dutch bench in 2009 declared itself competent to try the case. 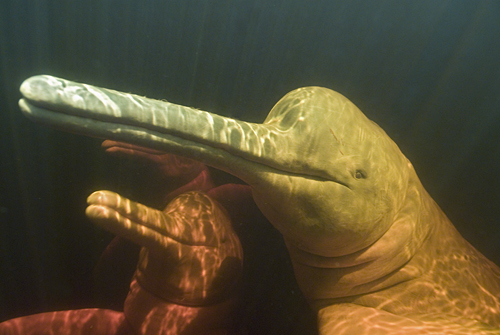 leaking into the Gulf of Mexico in the biggest ever marine spill. Shell in an attempt to defend itself says that spills in Nigeria are well below five million barrels and that the company cleans up whenever there is a leak, many of which it says they claim to caused by sabotage. 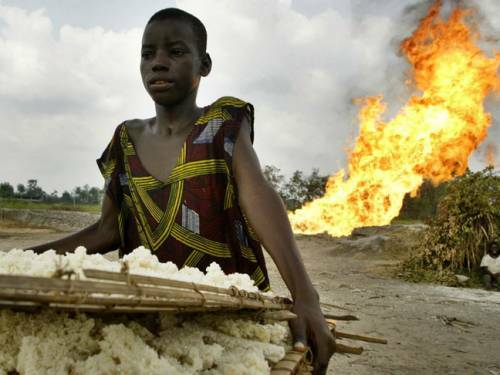 Last year, it was estimated through the United Nations Environment Programme report that over half a century of oil operation in the region, by firms including Shell, had caused deeper damage to the Ogoniland area of the Niger Delta. According to reports, thousands of other compensation claims from those affected by oil spills could be table by farmers if this case is successful. Environmentalists want the Netherlands, and other Western nations, to pass laws forcing companies to enforce the same environmental responsibility standards abroad as at home. ~ by FSVSF Admin on 15 October, 2012.